"Outside the box" recognition and consolation awards. 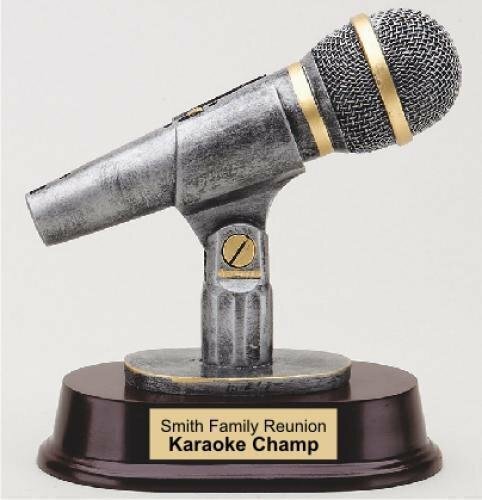 Silver- and gold-colored resin microphone on a reddish brown base. This award is ready to announce the winner of any singing or speaking contest. Award winner's achievement is printed on the plate with black text. Individually boxed. 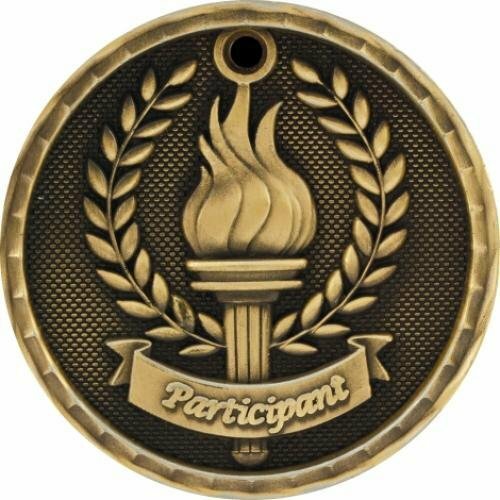 Participant medal. 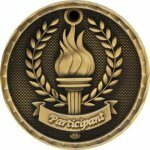 3D gold medal with different ribbon colors to choose from. 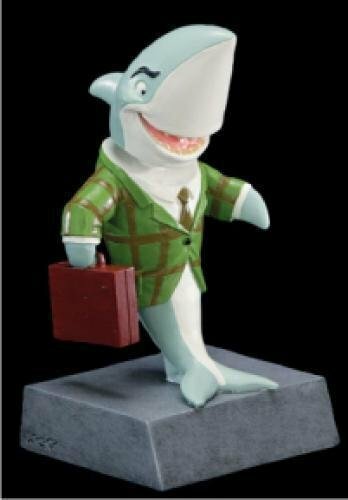 Sales shark bobble head resin award. For those that mean business! 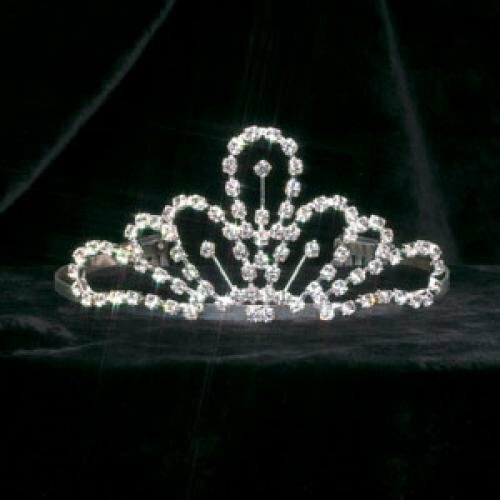 Crown your princess, queen, or beauty pageant winner with a sparkling tiara. Production lead time for this product is 2 days. This product has a maximum order quantity of 6. This toilet paper trophy is for the special coach that helped you wipe out the competition. 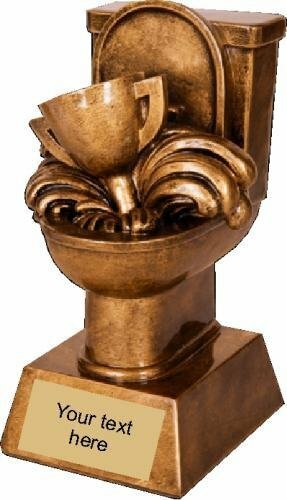 Or any loser will be flush with pride to receive this charmin' award. Made with an actual roll of toilet paper. Comes with a gold plate printed with black text. Approx. 12" tall trophy, when a 5" figure is used. Your actual trophy height depends on the figure chosen. Did someone in your Fantasy Football League flush away their opportunity to win? How about in your poker group? If so, this resin trophy is the award for them. Comes with a goldtone plate printed with black text. Individually boxed. He's wearing an ugly Christmas sweater and is proud of it. Sporting a snazzy soft cardigan made especially for him, he's won the ugly Christmas sweater contest. 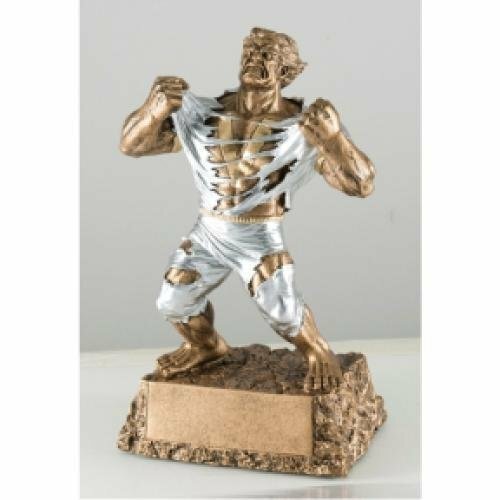 Now if he could just find his pants... Trophy comes with a goldtone metal plate printed with black text attached to base. Price is for one trophy. Small trophy has red column. This victory trophy isn't for the timid. It's a monster of a resin award. 52" Fantasty Football Champion leatherette belt, weighs in at 6 pounds. Eight rows of heavy duty snaps on back make this one size fits all. Features 42 synthetic gemstones and a glittery epoxy border around the "Fantasy Football Champion" art. Comes in satin lined presentation box. You can attach the optional holder to the wall and then snap the belt on to it, hanging the belt for display.